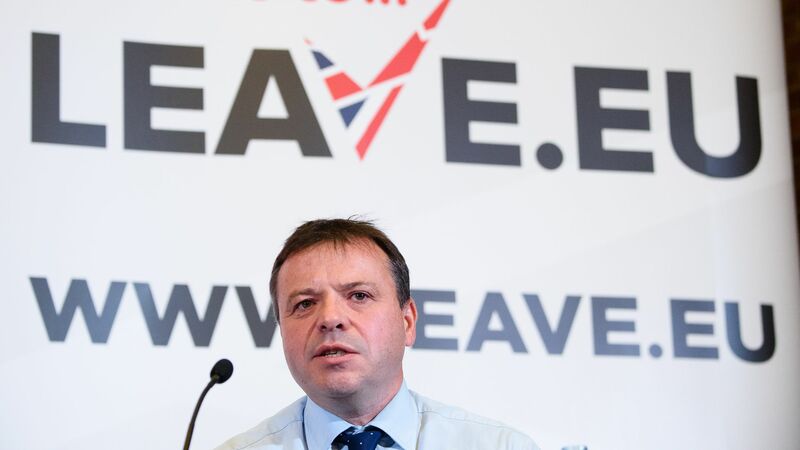 The United Kingdom's Electoral Commission has referred Arron Banks, a British businessman who co-founded one of the campaigns to exit the European Union, for criminal investigation for concealing the source of $10.3 million in campaign funds that were allegedly obtained improperly. The big picture: The commission launched an investigation in November 2017 into whether Banks was actually the "true source" of loans to Better for the Country, which ran the campaign for the Brexit organization Leave.EU. The commission noted at the end of their release that any donations from a foreign entity would be considered "impermissible." In a statement, Banks welcomed the investigation and denied wrongdoing from any of the companies he owns: "I am a U.K. taxpayer and I have never received any foreign donations." He later added, "Isn't it funny that that none of the financial contributions made by George Soros to British political campaigns are ever subject to any level of scrutiny by the Electoral Commission despite his being a foreign national?"